Check out the newest addition to the Drive Society Garage – our Land Rover Defender! We are excited to be partnering with Jeff Foster and the team at ReRover to customize this 1992 Defender 110. They have re-built it to be an amazing on-and-off road vehicle. See its current specs before the customization here and more pictures on our website. We're waiting on some seats from the UK to arrive so there will be 4 seats in the back (for a total of 6) and are adding extra goodies like a roof top storage rack, back ladder, rear bumper, rear windows, stereo and several other details which should make it better to drive. 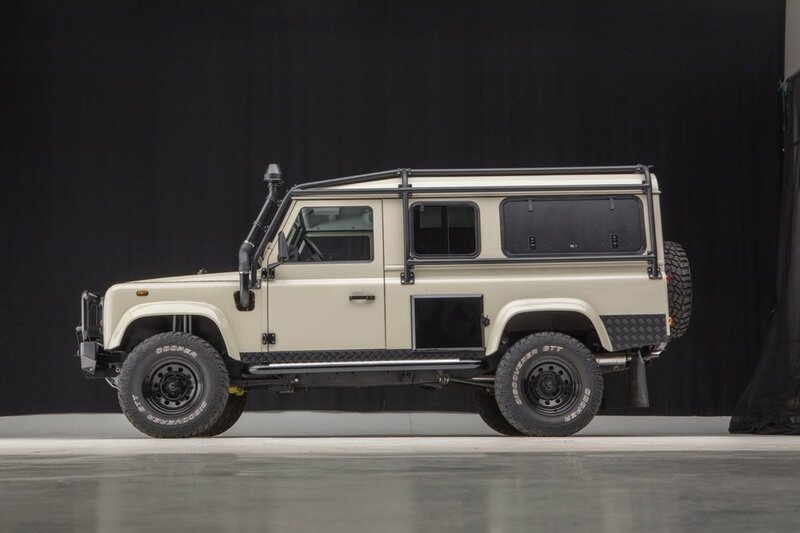 The Defender is part of a mostly unchanged lineage that was produced from 1948-2016 for the British Military so this is a very utilitarian vehicle... with no modern creature comforts. We are also having Air Conditioning added which is pretty luxurious on a Defender. This will be our practical, winter vehicle that will be tons of fun. It'll be a few weeks until we get the truck as they add rear seating and a few other items. This beast deserves to be driven home, to explore the open roads, and get broken in by some members!